16 strings, 8 dancing feet and 4 voices with 1 aim: to make classical music wickedly funny and exhilarating for young and old alike. 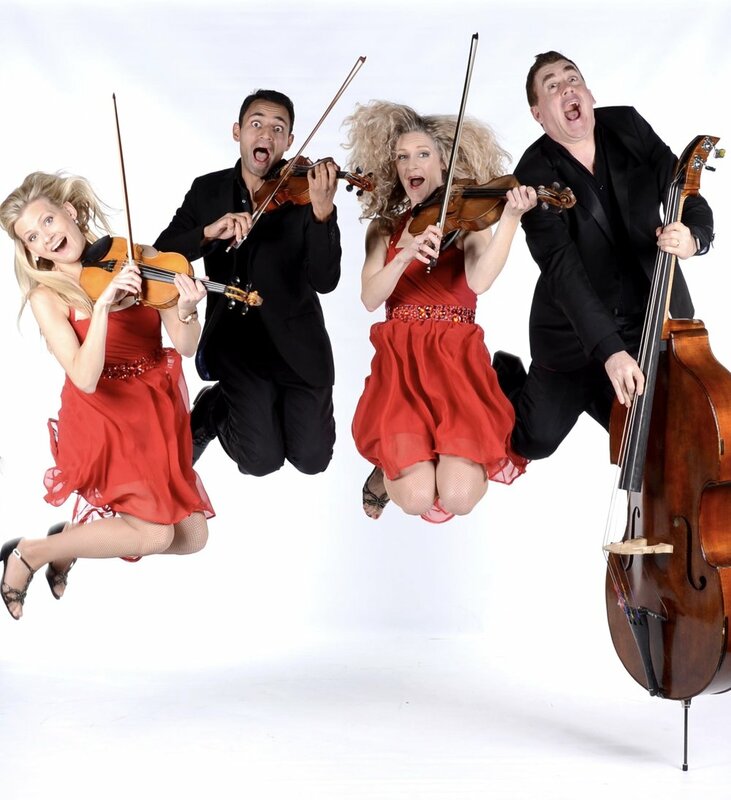 Graffiti Classics bursts the elitist boundaries of the traditional string quartet with its hilarious all-singing, all-dancing musical comedy show. It's a classical concert, gypsy-folk romp, opera, stand-up comedy and a brilliant dance show all rolled into one! There really is something for everyone; Graffiti Classics never fails to get audiences laughing, clapping and singing along. Kids and adults love the uplifting and virtuosic variety of musical styles, all tied together with cheeky audience interaction. EVOLVE is a collaboration between schools and arts centres with LOV (Lincolnshire One Venues) helping to put young people at the forefront of that partnership. programme created by a trained Emerging Music Leader, who will work closely with the students during the project. The group of students will be supported to create a music event to share with the rest of their school and will also be guided through obtaining an Arts Award qualification.